Eoghan Bridge was born in Edinburgh in 1963. His father at that time was Professor of Art at Edinburgh University. Eoghan Bridge studied at Harrogate College of Art & Leeds Polytechnic. 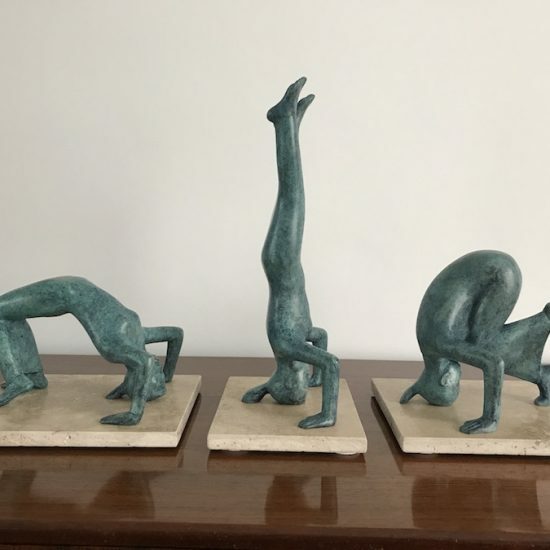 Awards and Commissions include designing and producing “The Yorkshire Television Press Award”, a large piece for Cala Homes PLC., at their Silvermills Residential Development in Edinburgh and another very large sculpture for Prior’s Court School, Newbury. In 2008 the sculptor completed an eight sculpture commission for the reception areas of the then new P&O cruise ship “The Ventura”. 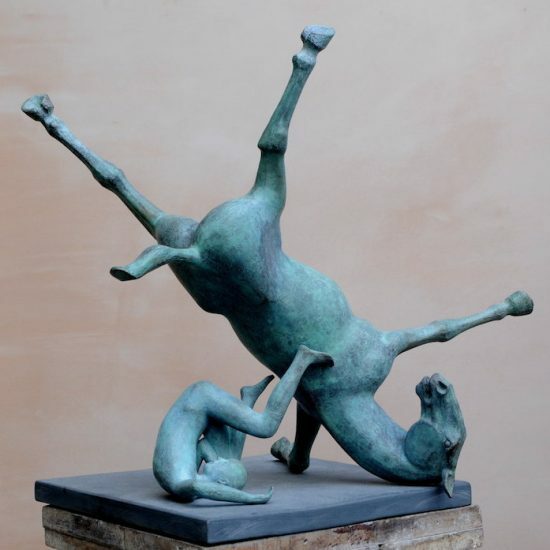 He has also carried out many important private commissions over the years. 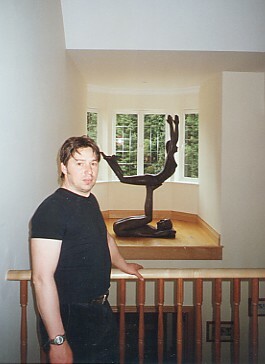 Bridge has exhibited his work widely since 1987. 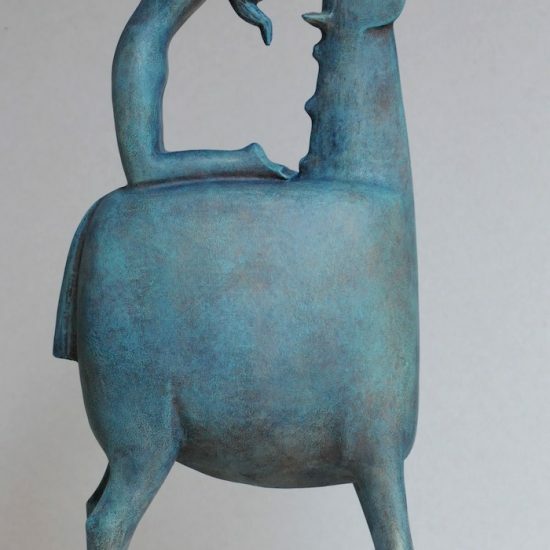 He has been exhibiting his work at the Linda Blackstone Gallery on a regular basis since 1990 and is our most popular sculptor. 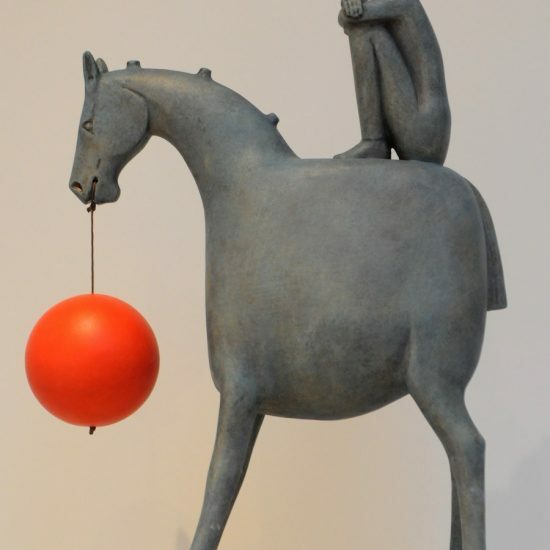 Eoghan is a sculptor who shows a great sense of humour, originality and sensitivity in all his work. 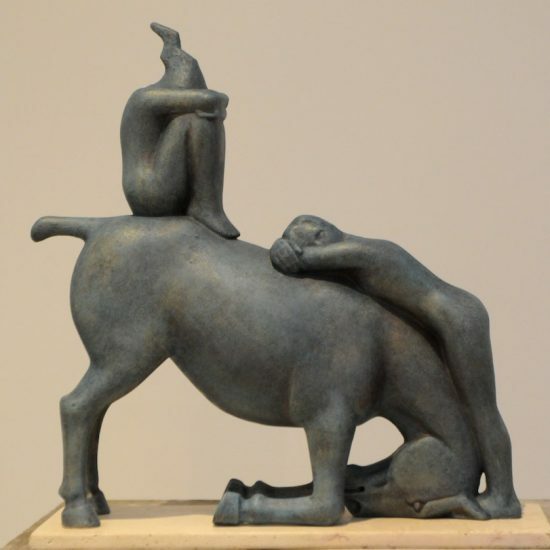 He produces large bronze cast installation pieces as easily as small ceramic unique or limited edition pieces.